Crosslin is deeply rooted in the community in which we live and serve. Team members donate their time and talents to serve on various boards and advisory committees, monetary contributions are made to support programs and service, and volunteer man hours are given to promote charitable causes. 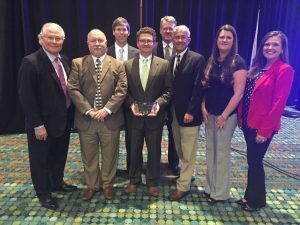 Because of this dedication, Crosslin was recently awarded the Business with a Purpose Award and Corporate Giving Award. 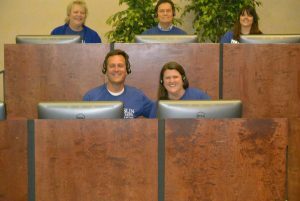 The history of Crosslin’s unwavering community support can be seen in many ways, from manning the phones for the annual Nashville Public Television membership drive, collecting food during the holiday season, contributing school supplies, and adopting “angels” during the holiday season. 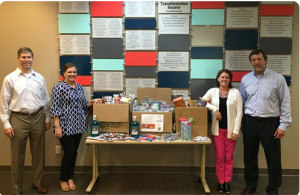 Crosslin not only promotes the idea of giving back to the community, but supports its team members in doing so. 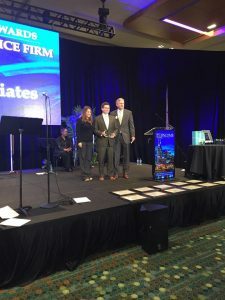 This is evident by Crosslin being named the largest “bail raiser” in Middle Tennessee for the Muscular Dystrophy Association and sponsoring teams for events like Race for the Cure and the Wounded Warrior Project. Crosslin and its team members had the rare privilege of sponsoring the rebuilding of the Lighthouse Preschool through the Extreme Makeover: Home Edition. More than 160 man hours were donated by Crosslin team members during the week of the rebuild, as well as providing corporate sponsor monies to assist with the cost of rebuilding. It was an exciting opportunity and one in which Crosslin is extremely proud to have played a part. Professionally, Crosslin works with various not-for-profit organizations by providing accounting and tax services throughout the year. We also volunteer to perform free tax services through a program provided by United Way. All of these commitments are undertaken to better the lives and opportunities of those seen and unseen who live in our community.